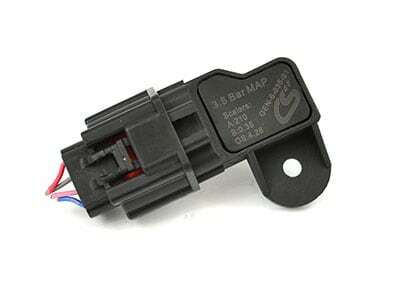 Introducing the first Plug-N-Play 3.5 Bar MAP sensor designed for the MZR DISI. The custom injection molded body features the OEM style connection for a quick and clean installation; no adapter wiring harness needed! With a maximum accurate pressure reading to 35PSI, the CorkSport 3.5 Bar MAP Sensor will keep you covered from K04 to Big Turbo. #ZoomZoom! Custom injection molded body features the OEM style electrical connection for a quick and clean installation with no adapter harness needed. 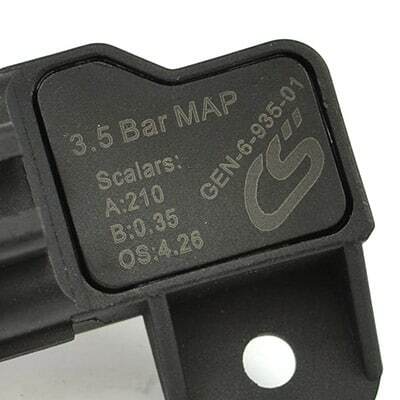 Tuning calibration is a breeze with the necessary calibration scalars laser etched directly onto the MAP sensor. Pressure and Temperature Response Time of 2 milliseconds. 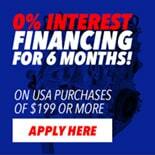 Compatible with: MZR DISI Engines found in Mazdaspeed 3 & 6, and CX-7. Over 20psi This is a must have part to run over 20psi of boost on your Mazdaspeed. Includes: Black phosphate flange bolt and washer. 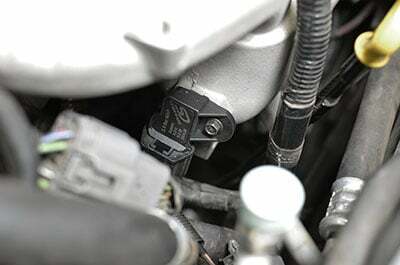 It will take you ~30 minutes to install the CorkSport 3.5 Bar Plug-N-Play MAP Sensor with our easy-to-use instructions.